Shine On Sierra Leone, a human service foundation that provides education, mentoring and nutritional support to schools in Sierra Leone constructed a school building using earthbags. It was constructed using materials easily accessible to all - flour or rice bags and earth (cement, clay and sand) and a thin layer of top cement. 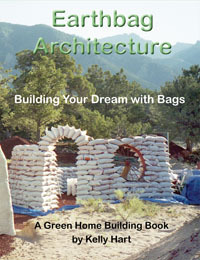 Construction of the earthbag building was transformational for all involved. The building was made without power tools, but instead hand made tools. It is extremely strong, aesthetically beautiful, has permanent furniture (desks) and will be here for 1000 years. The idea was to use materials that are easily accessible to locals. 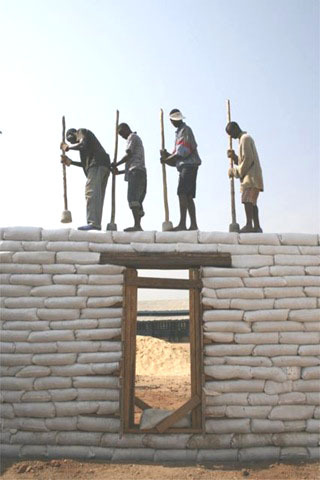 At first, the workers laughed at the idea of "building with bags" and very quickly, they became excited and took ownership in a way that brought the village together in an unprecedented way. They asked us if they could name the building "Unity Building" because all of the tribes felt united and that they were essential. The roof is traditional, as the intended dome shape took some getting used to in the village. However, due the huge success of this building, they now want to build the first eco-dome village in Sierra Leone. The dome will make the buildings very, very affordable, as the roof is usually the most expensive part. We are now looking to make the village a purely sustainable environment by installing permaculture. Photos of the new building were shown to the Vice President's wife and she called meetings with everyone at the statehouse to see this slideshow. The statehouse (government), Unicef and Ministry of Education are thrilled with the design and have been taking back to back meetings to discuss using it as a template to rebuild Sierra Leone and its schools. 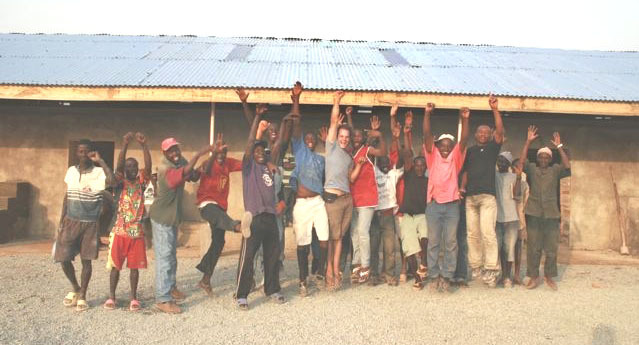 Thank you for All For Africa your support ~ financially and otherwise to make this possible, this is truly amazing! The hole left by the removal of earth will be converted in to fish pond for the school by the Ministry of Agriculture!